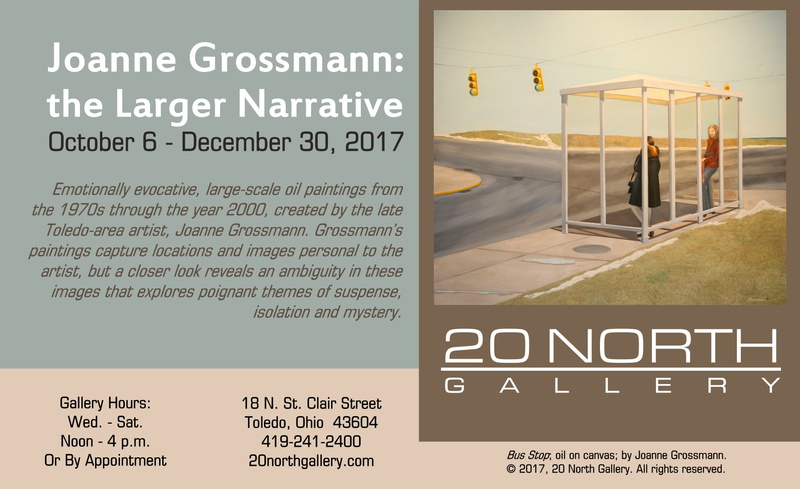 Public reception: Friday, October 20, 6 – 9 p.m.
On October 6, 2017, 20 North Gallery will open Joanne Grossmann: the Larger Narrative, a revival of emotionally evocative, large-scale oil paintings from the 1970s through the year 2000, created by late Toledo-area artist Joanne Grossmann. 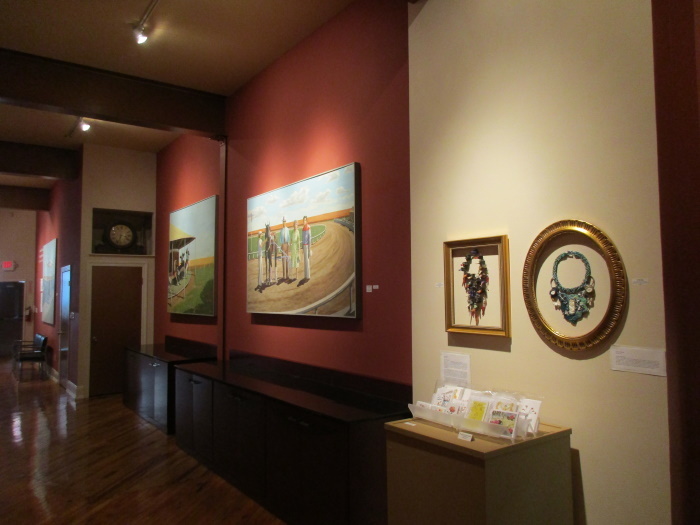 The exhibit continues through December 30, 2017. 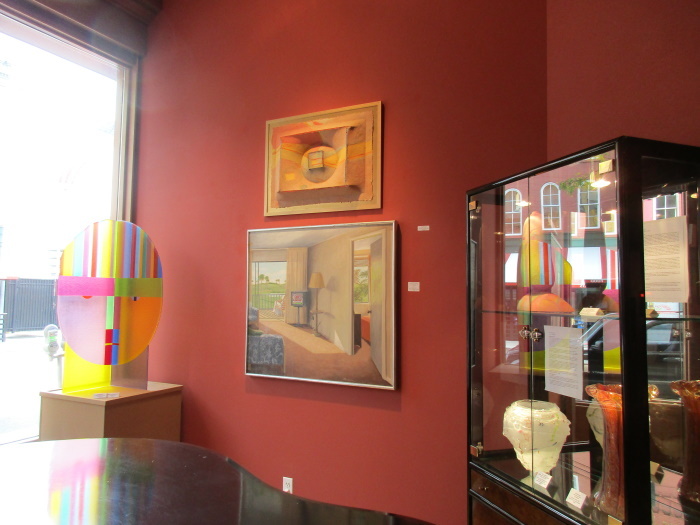 To view the artwork of Joanne Grossmann: the Larger Narrative, click to open the exhibition catalogue. The exhibition, The Larger Narrative, re-introduces viewers to the visual storytelling of Joanne Grossmann. 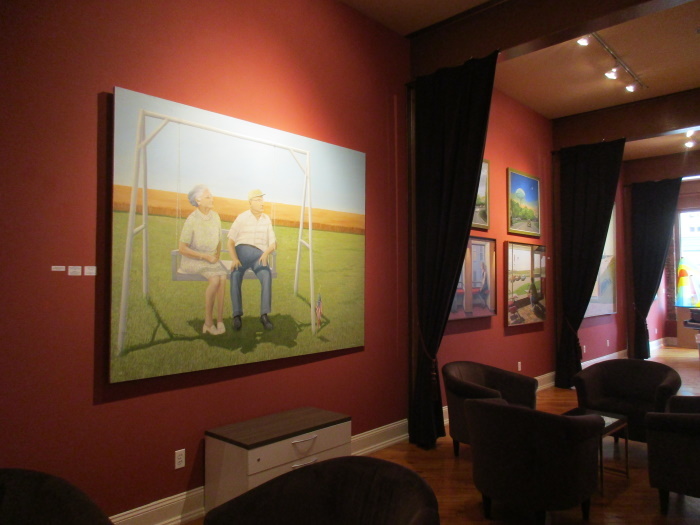 The paintings feature scenes rich with emotion and nostalgia while hinting at a quality of suspense. Upon first look, Grossmann’s paintings capture locations or images personal to the artist, but a closer look reveals the ambiguity in these representations. Using settings with figures seemingly isolated within their own stories, Grossmann’s works in oil invite viewers to explore the many layers of these narratives. Joanne Grossmann (b. 1930- d. 2017, Toledo, Ohio) graduated from Perrysburg High School (Ohio) in 1948 and went on to attend Bowling Green University (Ohio) before studying art at Ohio University (Athens, Ohio). In 1952, Grossmann and her family settled in West Toledo, where she continued to study at The Toledo Museum of Art. In 1972, the family moved to a home in Toledo’s Westmoreland neighborhood where Grossmann converted the historic ballroom into a grand studio, giving her the freedom to create scores of large-scale paintings, on seven-foot canvases. 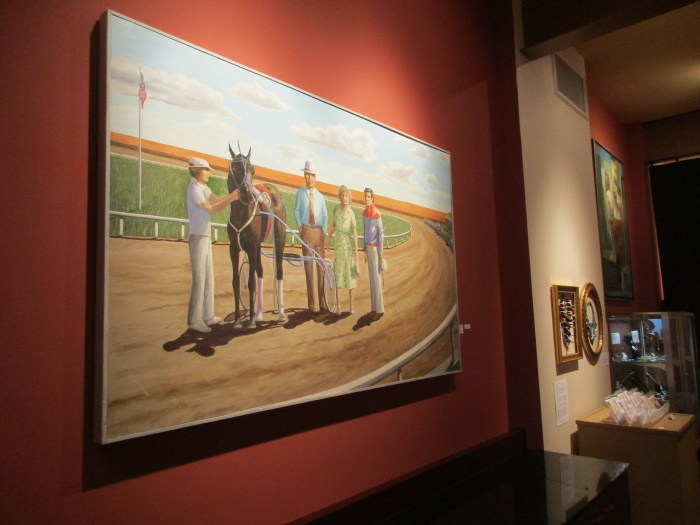 Grossmann drew inspiration for her paintings from many parts of her life, including her love for horse racing. 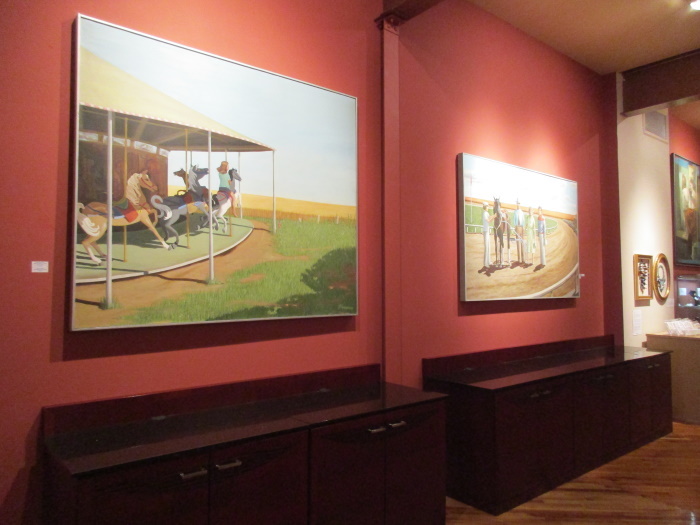 Twice yearly, Grossmann and her husband, Fred Grossmann, would travel to Keeneland, Kentucky to view the horses and landscape that often inspired annual contributions to the former Derby Days exhibition at 20 North Gallery. Other scenes captured in Grossmann’s expressive and personal imagery create ambiguous spaces with figures isolated in time and context. 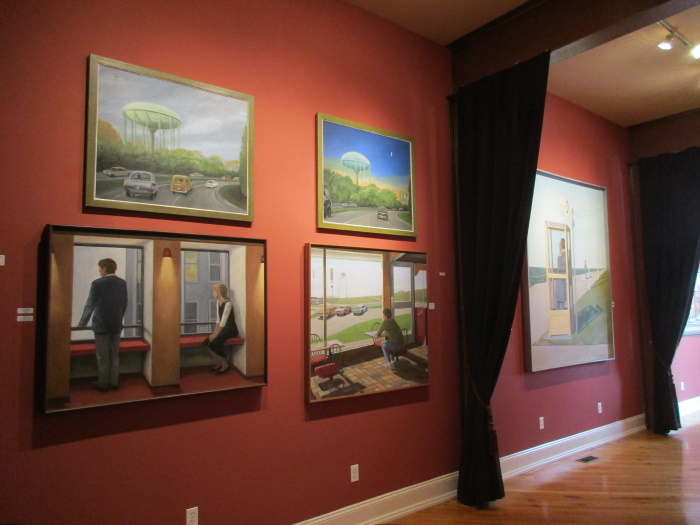 Her paintings display a sense of familiarity through the representations of rural and urban settings, but also reveal subtle themes of emotional distance. During her period of professional activity as an artist, Grossmann’s paintings were accepted into a variety of shows, including the national Annual Midyear juried shows at The Butler Institute of American Art. 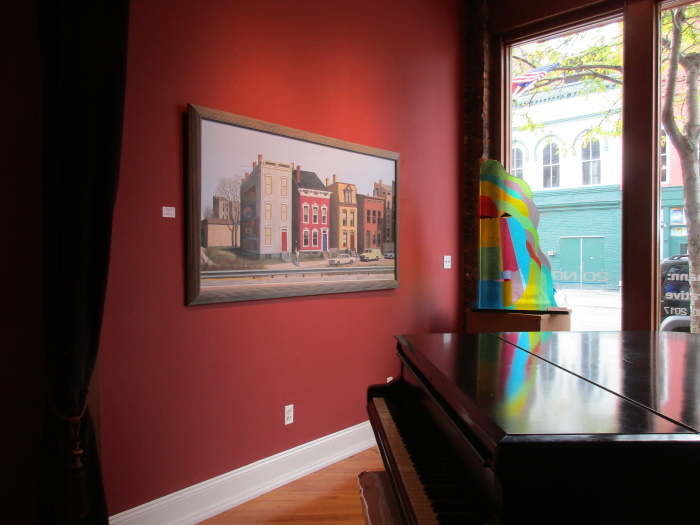 She also frequently entered the distinguished Toledo Area Artists Exhibition, at The Toledo Museum of Art for which she won multiple awards over the years. 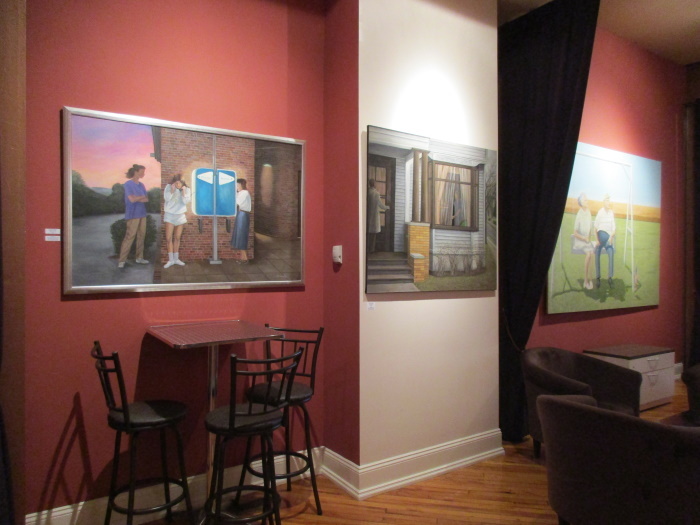 Her paintings are in the permanent collections of the Toledo Federation of Art Societies and the City of Perrysburg. 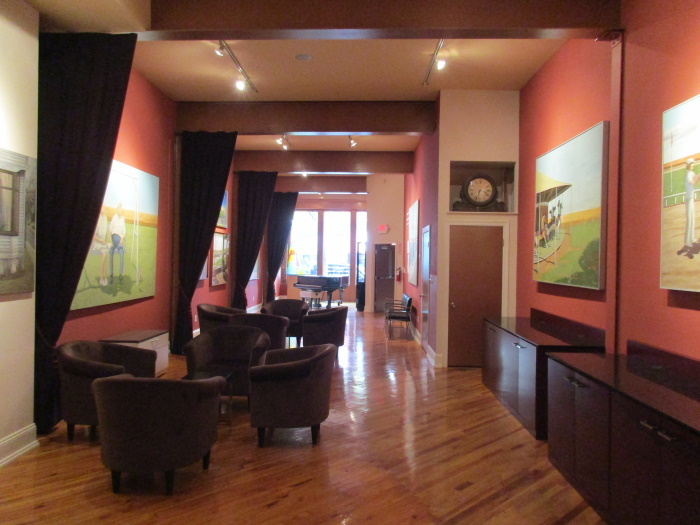 Collectors of Grossmann’s paintings include those of regional patrons and Owens-Illinois, Inc. 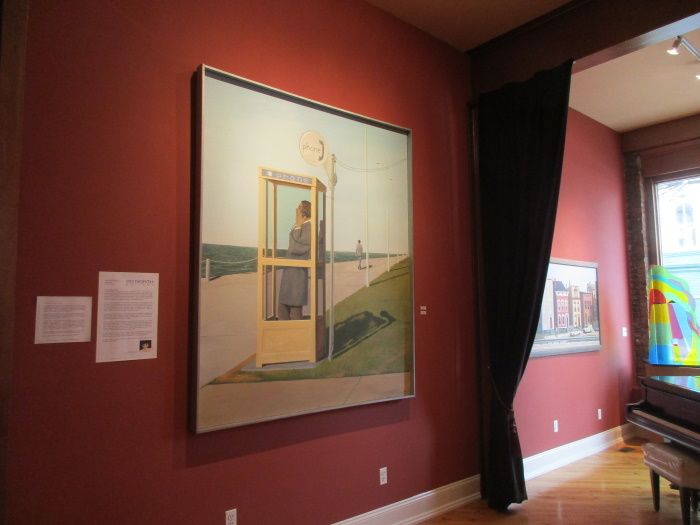 Her most recent exhibition was a tribute show at Way Public Library (Perrysburg) in 2015. In her final years, Grossmann returned to her native city of Perrysburg before passing away in May of 2017. 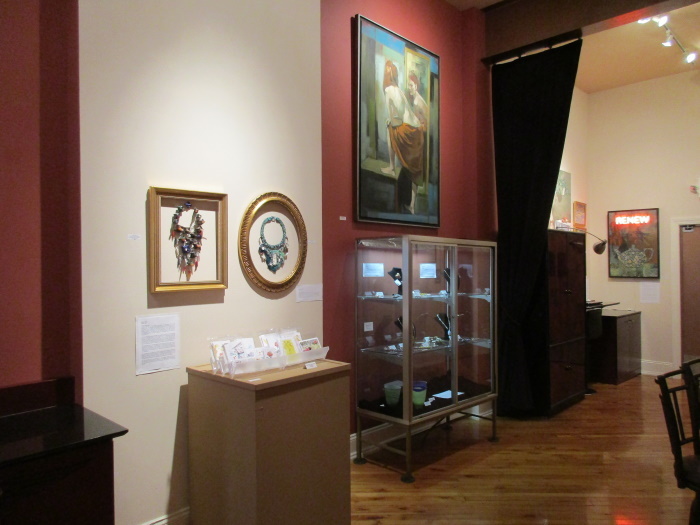 In addition to the “Joanne Grossmann: the Larger Narrative” exhibit, 20 North Gallery continues to display glass, paintings, jewelry and artists’ cards by noted artists of the region. 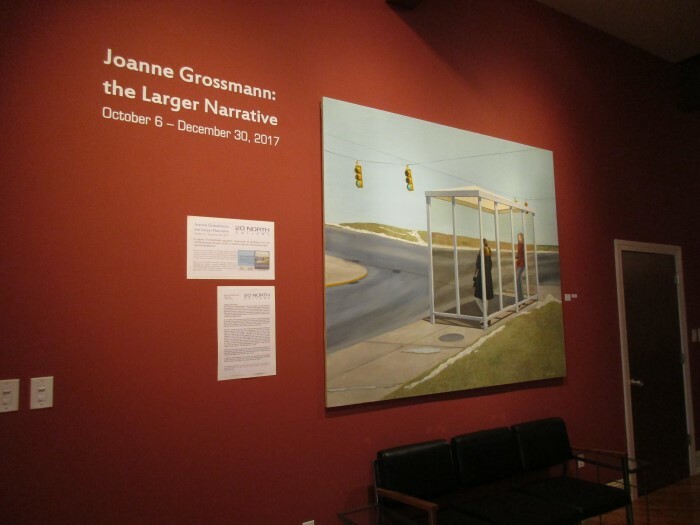 Gallery hours are Wednesdays through Saturdays from noon to 4 p.m.
20 North Gallery and members of the Grossmann family will be welcoming friends and collectors at the free Public Reception for “Joanne Grossmann: the Larger Narrative” on Friday, October 20, from 6 – 9 p.m. The reception will feature a free appetizer buffet and cash bar by Venue.